How often do we see greater flexibility for less cost? Not often but we believe that our 3 point cam adapter offers just that. 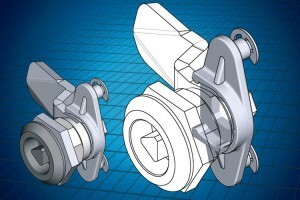 It converts a low cost single point cam into a cam for a 3 point locking system. This gives you as an enclosure manufacturer or installer a much reduced stock requirement for varying cabinet door sizes. Typically we foresee a 40% reduction in stock costs on this component type. Share the post "Reducing production costs"